Steve Rogers (Chris Evans) walks a lonely road. Since awakening from his arctic slumber, he wanders through life in a perpetual state of bemusement. His once beloved country has evolved into a high-tech police state. It also happens to be the preeminent world power. Now, with the help of Stark Industries technology, S.H.I.E.L.D hopes to make that power absolute. Alas, a cancerous growth has been gestating deep within the bowels of the organization since its very inception. That once hidden threat now seeks complete dominion over its host, and by extension, the world at large. As this evolution takes place, key S.H.I.E.L.D operatives become strategic targets. Now, more than ever before, Captain America is the lone ambassador of an outmoded ideal. With the help of Black Widow (Scarlett Johansson) and The Falcon (Anthony Mackie), he hopes to restore freedom to world on the brink of losing it forever. 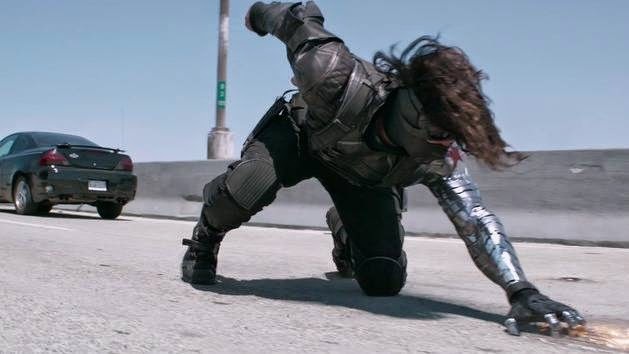 With Captain America: The Winter Soldier, the Marvel Cinematic Universe brings yet another established mythology into its unique fold. The film reconfigures spy movies and espionage thrillers to meet the specific needs of its title character(s). Such a marriage has long since been achieved in the very medium that birthed Captain America himself: Comic books. Writer Ed Brubaker’s epic eight year run on the title plunged America’s favorite super soldier headlong into a world of terrorism and intrigue. Filmmaking siblings Anthony and Joe Russo now attempt to transpose Brubaker’s vision to the silver screen. The results are unlike anything the MCU attempted thus far. Given fandom’s selectively short memory, it’s easy to forget that such a transposition has taken place before, and quite recently. The mutant prequel X-Men: First Class was essentially an amusing riff on 60’s spy films. In an attempt to ground Cap firmly in the modern age, the Russo brothers set their sights on a different era: The mid-1970’s. They draw inspiration primarily from conspiracy and paranoia thrillers like Three Days of the Condor, The Conversation, The Parallax View, and The Marathon Man (Though it’s from the previous decade, one might also include The Manchurian Candidate). There’s also another, much more obvious (and recent) influence: The Bourne franchise, particularly the two middle entries, which were helmed by Paul Greengrass (The Bourne Supremacy and The Bourne Ultimatum). The Russo brothers, in tandem with Cinematographer Trent Opaloch and Editor Jeffrey Ford, have developed a more subdued version of the Greengrass aesthetic, better known in some quarters as “chaos cinema.” That customized variant is employed right from the outset, during a covert strike on a pirated vessel. During this opening action sequence, Captain America clears every human obstacle in his path with the expedience of an Olympic hurdler. The camera barely keeps pace as it seemingly apes the exact trajectory of every punch thrown. Each shot is held just long enough to have an almost stroboscopic effect. It’s admittedly a bit jarring at first. One wishes that the camera could adopt a more fixed position and expand its field of vision. When the sequence builds to it’s inevitable climax (a faceoff between Cap and the character Batroc), its pulse slows just a tad. The shots are held a bit longer, so as to better appreciate the fight choreography. Thus, the film’s equilibrium is not only established, but maintained throughout. The filmmakers expect the audience to keep up. Once they have the rhythm down, collective muscle memory will do the rest. Not a flawless strategy, but it delivers. That modus operandi carries over into the special FX. Initially, the filmmakers opt for a more practical approach. CGI is used sparingly, and in relatively subtle ways. With each set piece, the balance tips a bit more in favor of the “modern” approach. The momentum builds until the climax, during which a culmination of techniques work in conjunction with one another. It’s not unlike the juggling act performed by Joss Whedon during the third act of The Avengers. The action is fractioned off into thirds, with each vignette focusing on a single character and his/her unique abilities. Jeffrey Ford channel surfs from between these vignettes. One is also given a pretty good idea of how these separate battles all fit into the bigger picture. Thus far, every MCU film has revolved around a McGuffin of some sort. These devices are usually of an alien and/or supernatural origin. That structure is upheld by Captain America: The Winter Soldier, albeit it in a more appropriate context than ever before. McGuffins have long been a mainstay of spy movies and espionage thrillers. In the first Mission Impossible film, Ethan Hunt (Tom Cruise) pursued a NOC List while trying to smoke out a mole within his organization. In the most recent Bond film, Skyfall, 007 (Daniel Craig) sought a top secret hard drive before locking horns with his severely disturbed surrogate Raoul Silva (Javier Bardem). In keeping with such genre traditions, Captain America endures similar plot machinations en route to his rendezvous with the mysterious Winter Soldier. The plot also takes more than a few cues from another sophomore superhero outing: Christopher Nolan’s The Dark Knight. Like Nolan, the Russo brothers place a rather flamboyant and fantastical hero in an ultra-gritty, pseudo-realistic setting. Also like Nolan, that setting is used to ponder a number of modern day dilemmas that routinely make national headlines. S.H.E.I.L.D’s plan with the Helicarriers vaguely mirrors Batman’s use of a cell-phone tracking device to locate The Joker in The Dark Knight. The latter is widely seen as a thinly veiled metaphor for The Patriot Act, while the former clearly mirrors drone warfare. To a degree, Captain America trumps The Dark Knight in this department. It’s better able to reconcile its hokier elements with its loftier ambitions. It still manages to be thrilling and funny while pondering more serious matters. The film’s subtitle is a bit misleading, as the Winter Soldier isn’t the main villain of the piece. He’s more or less a mechanized enforcer. As such, he provides ample menace when required. Of course, his origins and ultimate purpose will be more fleshed out in future MCU offerings. Chris Evans remains ever the displaced hero. Though a bland character, Chris Evans infuses Cap a lovable sincerity. He truly buys into the principles he claims to stand for. In his latest turn as Nick Fury, Sam Jackson exhibits a seemingly newfound sense of world-weariness and cynicism. Meanwhile, Scarlett Johansson seems to have found a happy medium between violent eye candy and viable female character. As Falcon, Anthony Mackie is quite possibly the coolest Black superhero to ever grace the silver screen. With his rocket propelled wings, he’s nothing less than a human harrier jet. Watching him dodge anti-aircraft fire is, in its own way, just as exciting as Luke’s Death Star trench run in the first Star Wars. More to the point, his actions are actually of consequence. Though not the title character, he refuses to be relegated to the role of a mere sidekick. I sense a spin-off of some sort in his immediate future. More power to him. 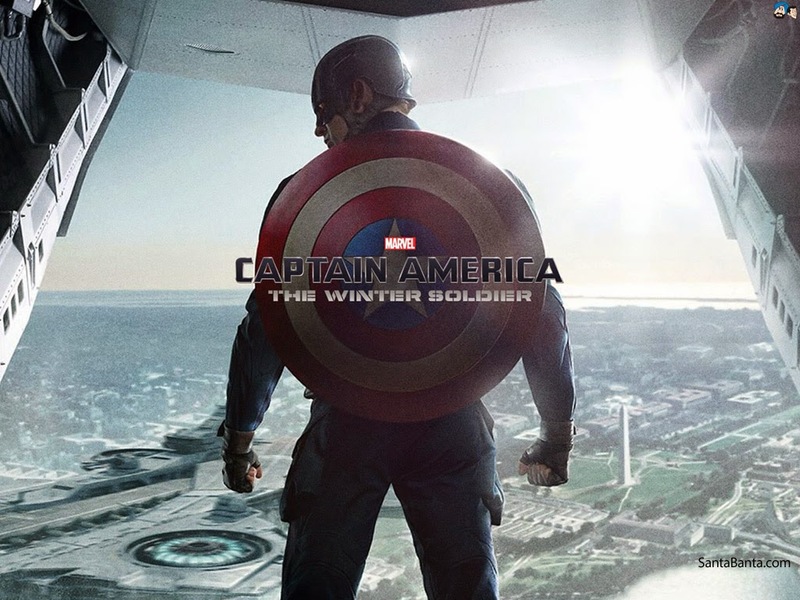 Captain America: The Winter Soldier plants yet another flag for the MCU. It has scouted out and claimed new territory for the brand. In so doing, it reveals superhero genre (for lack of a better term) to be quite a bit more versatile than its critics might suggest. While both action and adventure remain key elements, the milieu and underlying themes remain in a constant state of flux. The film is not unlike Cap himself. Though his values remain constant, he remains a dexterous and adaptable hero. It imports so many cast members from The Avengers that it almost feels like the Age of Ultron is already upon us. Yet it's a credit to the scripters that their stage feels crowded but not cluttered, as every character is allowed opportunities to shine.